Freestyle skipping is magnetic in appeal, hip, fun and helps children feel and look their best. Most importantly, children (and the young at heart!) of all levels can learn how to jump their way to a fitter and a healthier lifestyle! Click here to have a visual of how a typical SkipFit session goes! 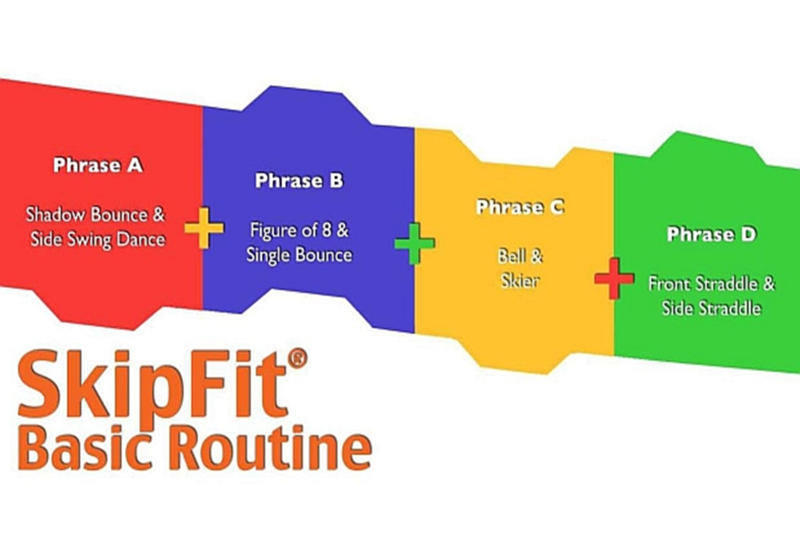 Find out why more than 60 schools have chosen The SkipFit® System for Music & Movement (PAL) and/or Sport Education (SEP)! All FUNskip & SkipFit® classes are guided by the three principles of Fun, Physical Literacy and Values. Not only will children acquire skills and confidence in a fun and stimulating environment. The lessons also provide a context for children to physically and emotionally experience how certain behaviors and attitudes can help them better achieve their goals. FUN! (Lots of It!) – Not only will children get an opportunity to skip to popular music and perform for their peers and teachers, they will also get to experience different rope-skipping games and challenges in every lesson! Physical Literacy – Besides being a competitive sport, Rope-skipping is key to developing ABSs (Agility, Balance, Co-ordination) necessary to enjoy a variety of sports. 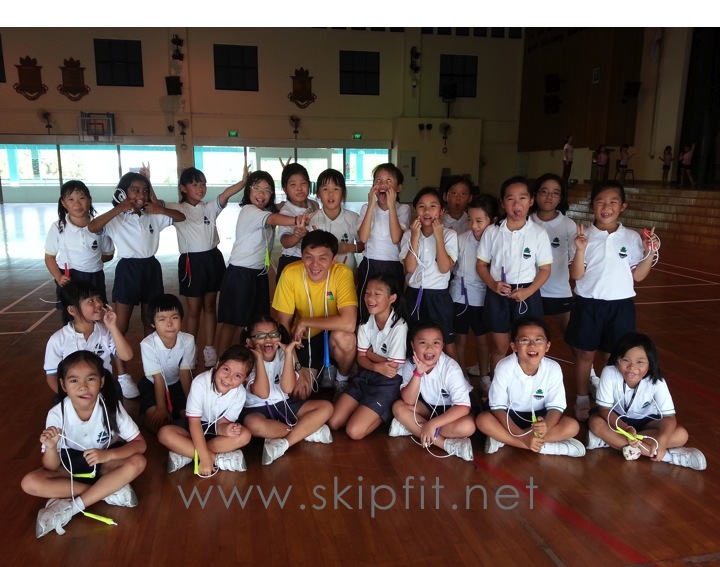 Children will learn basic skipping progressively according to pre-choreographed SkipFit® musical phrases (synchronized skipping). 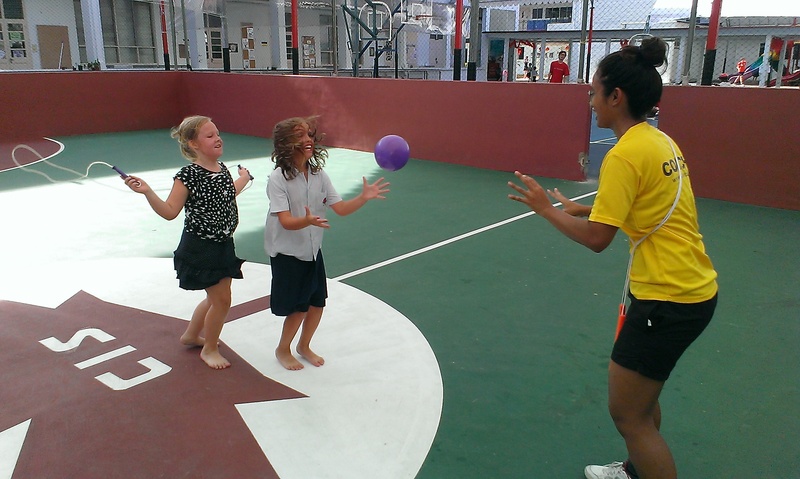 Teamwork and Values – Partner and Long Rope games require children to work together towards a common goal. These activities together with the ESL (Effort, Support, and Learning) Coaching Model helps younger children develop social skills and move away from egocentric behaviors. What is the ESL Coaching Model? 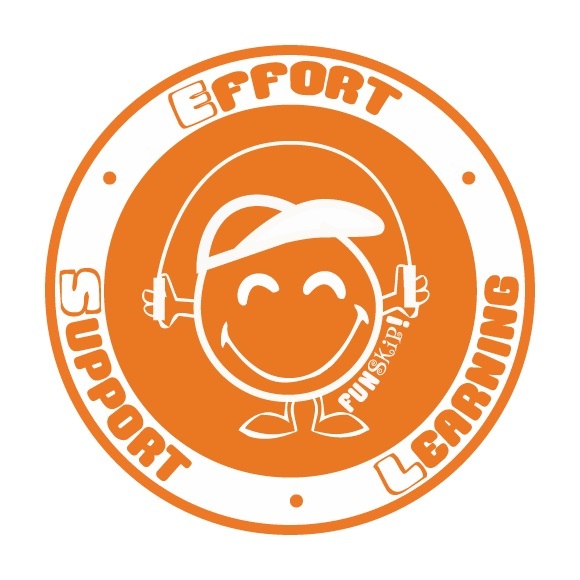 The ESL Coaching Model is used to reinforce positive behaviors in line with Effort “Have I done my best?”, Support “What can I say or do to help my team perform better?” and Learning “What are my mistakes and how can I learn from them?”. Children who show these positive behaviors will be acknowledge in front of their peers at the end of every session. Self Esteem & Overcoming Fears – Every lesson ends with a mini showcase where children will perform a synchronized routine to music for their friends and adults. This is a valuable opportunity to help them to develop the confidence needed to overcome shyness or being embarrassed to do thing in public, which might hold them back from opportunities in life. Find out more about the FUNskip Awards System here! 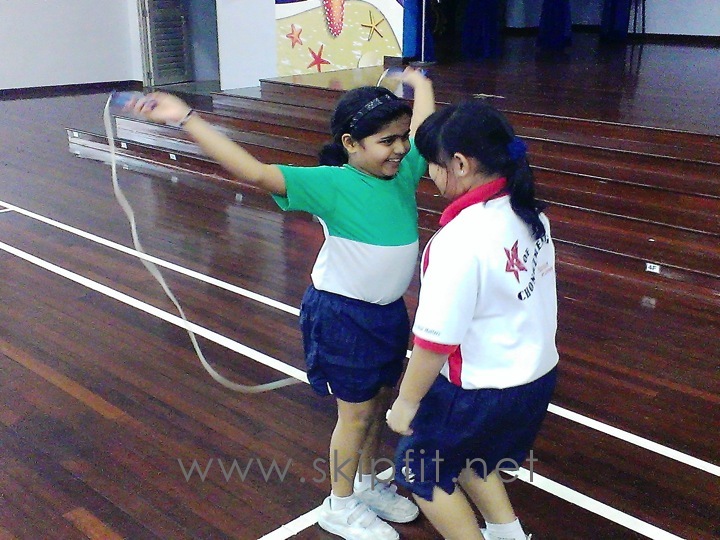 -The Basic SkipFit® routine performed by upper primary students here and here. -Radio interview on 93.8FM on The SkipFit® System here.